Welcome to the first product specific Fearless Flyer of the year. 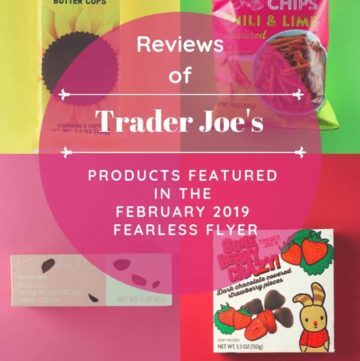 My goal here with this Trader Joe’s February 2019 Fearless Flyer Matchups are to match the products featured with reviews from this blog and from around the web. If there is a picture next to the product, it is matched with a review from this blog. If it is just a link, then it is a review on a different site. If there is neither, that means I couldn’t find a review to match up with that product. Lot’s of fun new items to check out this month. Some old ones, some classic items featured. Happy Shopping! I hope this helps you work on your next shopping list! So it’s that time of year where gift giving is the theme of the season. While you can’t get the latest 4K TV at Trader Joe’s, you can get the smaller gift items that would be appreciated. I’ve broken down a list of gift items at different price points to help you and your budget. Whether you are doing a White Elephant, Grab Bag, Chris Kringle, Stocking Stuffer, gift giving, or simply want to say “Thank You” to someone there are lots of gifts to choose from at different price points. You can find health, beauty, household, and food gift ideas. 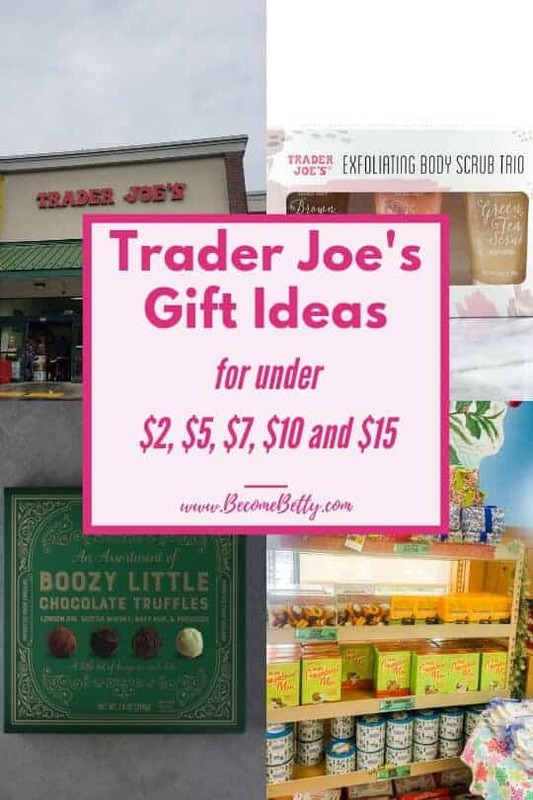 Below is a list of gift ideas for under $2, $5, $7, $10, and $15. Some of these items aren’t even seasonal, but would still make a lovely gift idea regardless of the time of year you shop. I’ve tried the vast majority of these items and wouldn’t minding giving them (or receiving them)…. 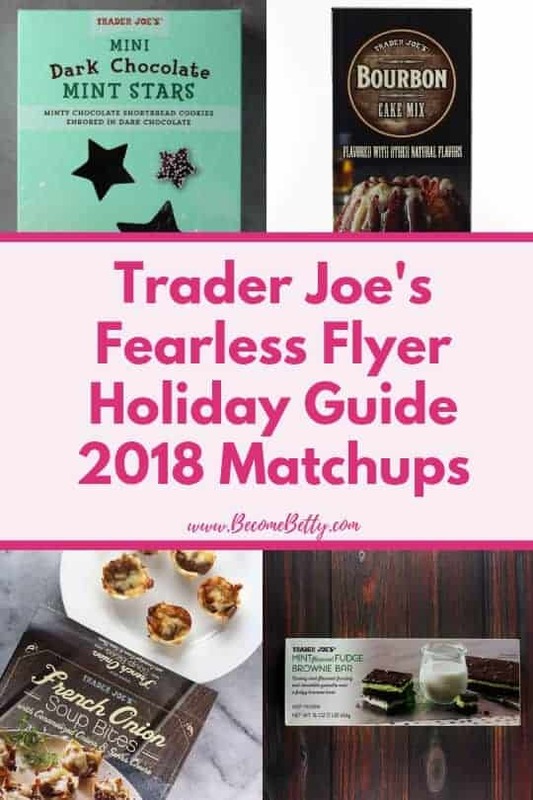 Welcome to another matchup of Trader Joe’s reviews with those items featured in the Holiday Guide a.k.a the December Fearless Flyer. Lots of new items have been landing seemingly daily. And as always there is lots of good stuff to try, but let this be your review guide to the reviewers who have tried these items and have something to say about them…. 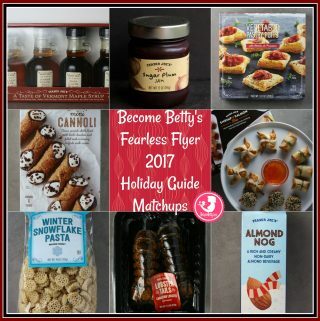 Welcome to another edition of the Fearless Flyer roundup where I pair reviews from this blog and around the web to the items featured in this month’s flyer. While it is still September, this is the flyer for October. 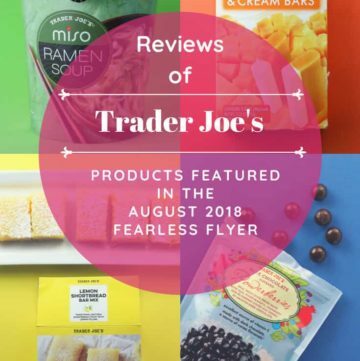 Welcome to the Trader Joe’s August 2018 Fearless Flyer Matchups! I’ve pulled together reviews from this blog and others around the web to give you (more) complete information in a single place. 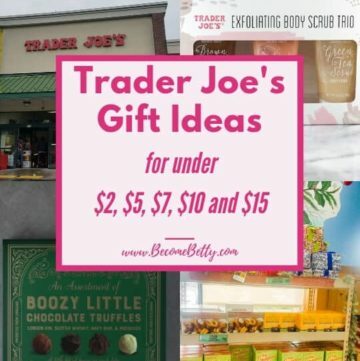 The full flyer is always located on Trader Joe’s website, but they don’t archive them. So, at the bottom of this post there are links to my past matchups if you are curious what might be in store for the coming months or just to see what they’ve offered in the past. It’s too early for pumpkin, but the next Flyer should show up around September 24th. After that there will be two more in November in time for the holiday season before we get into 2019. Anything with an image next to it is a review from this blog. Anything with just a link, is from another reviewer’s site. I hope you find this helpful in your shopping. If there is anything you’d like to see me review, leave me a comment…. Welcome to the Trader Joe’s June 2018 Fearless Flyer Matchups. I’ve taken the time to pull together reviews from this blog and others around the web to give you (more) complete information in a single place. I can’t believe that almost half the year gone already. With summer upon us, there will likely be one more flyer over the summer months before pumpkin season will arrive (usually) around September…. Hey Everyone! Hope 2018 is treating you all well and is finally bringing you some warmer weather. Tonight is actually April 30th, but the May Fearless Flyer has already landed in time for all of the Justin Timberlake “It’s going to be May” memes…. Hey Everyone! 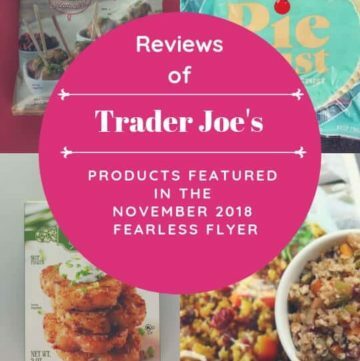 The clock has changed and so has the Fearless Flyer posted to Trader Joe’s website. 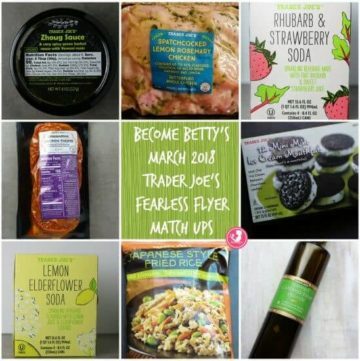 Trader Joe’s March 2018 Fearless Flyer Matchups is the eighth installment of the Fearless Flyer Matchups here on Become Betty. If there is something on here you would like to see me get to, leave me a comment. Think of this as a “know before you go” type of guide. 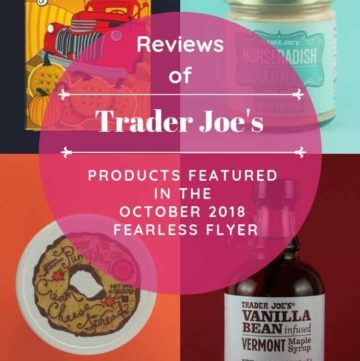 It’s all about the reviews of the products Trader Joe’s has chosen to featured in their Fearless Flyer this month. I’ll add more to the list here as reviews are posted. 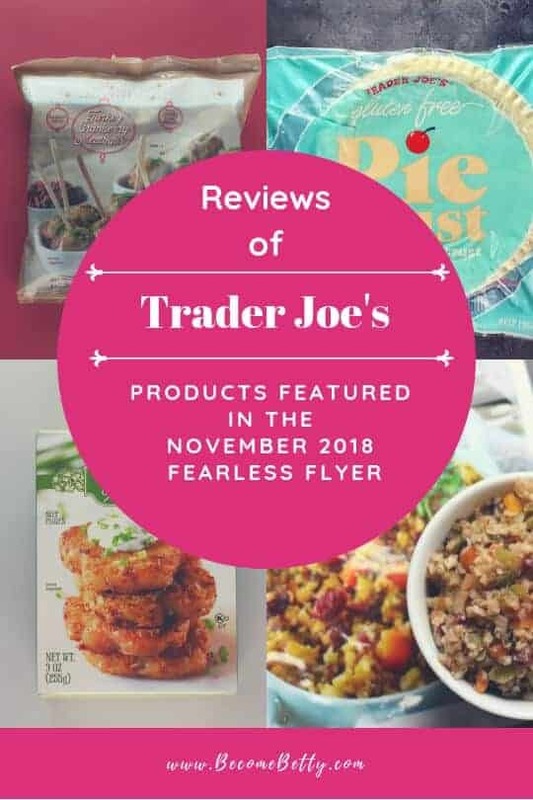 While I won’t have a full review of all the products, you can still take a look at the full flyer here which features how Trader Joe’s describes these products. Unfortunately, they don’t archive these flyers (but this page will sort of serve that purpose)…. Hey Everyone and Happy New Year. 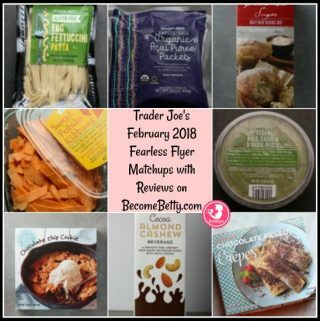 Trader Joe’s February 2018 Fearless Flyer Matchups is the seventh installment of the Fearless Flyer Matchups here on Become Betty which is the first true flyer of the year. The one posted in January was all recipes with no true products featured. Think of this as a “know before you go” type of guide. 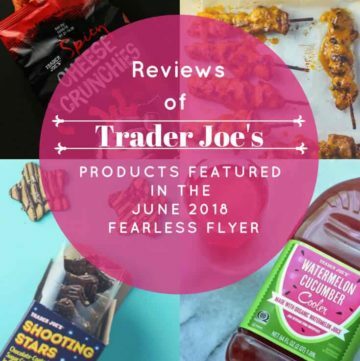 It’s all about the reviews of the products Trader Joe’s has chosen to featured in their Fearless Flyer this month. I’ll add more to the list here as reviews are posted. 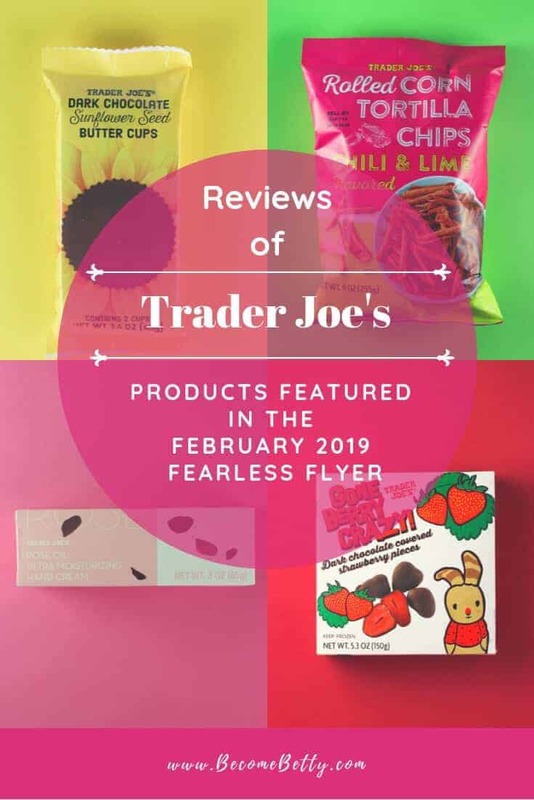 While I won’t have a full review of all the products, you can still take a look at the full flyer here which features how Trader Joe’s describes these products. Unfortunately, they don’t archive these flyers (but this page will sort of serve that purpose). Hey Everyone! Hope Thanksgiving treated you all well. 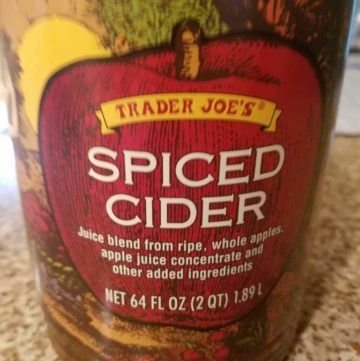 Now, that one holiday is over, Trader Joe’s has moved on to the holidays at the end of the year. 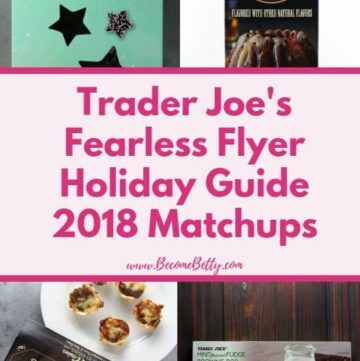 And now for the sixth installment of the Trader Joe’s Fearless Flyer Matchups which is technically the Holiday Guide and the final Fearless Flyer for 2017. Think of this as a “know before you go” type of guide. 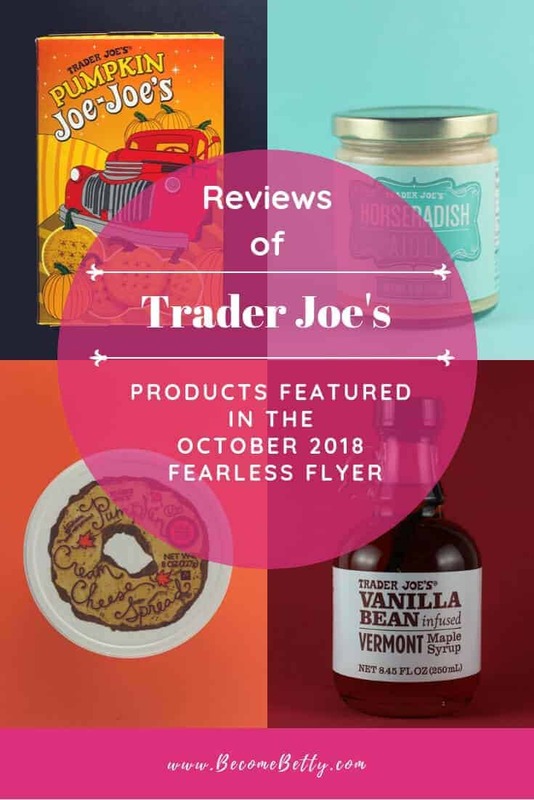 It’s all about the reviews of the products Trader Joe’s has chosen to featured in their Fearless Flyer this month. I’ll add more to the list here as reviews are posted. Some of then items are literally just hitting the shelves and some of the roasts won’t be on shelves until December 6th. 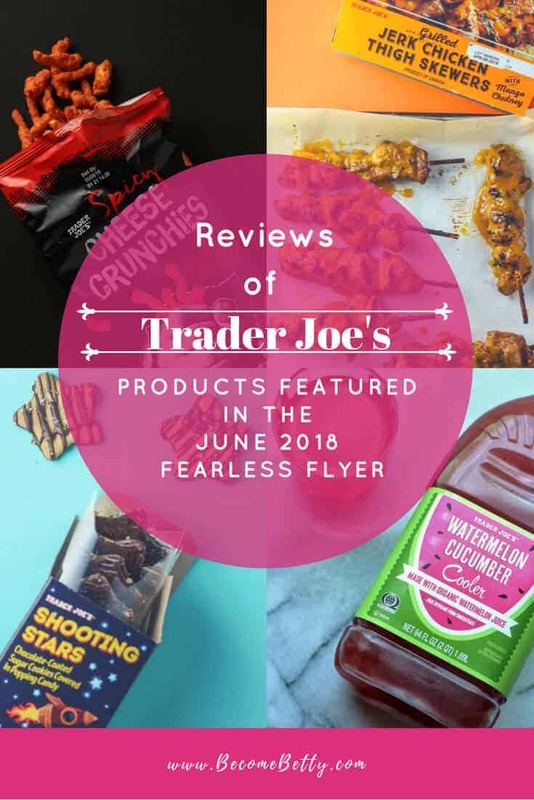 While I won’t have a full review of all the products, you can still take a look at the full flyer here which features how Trader Joe’s describes these products. 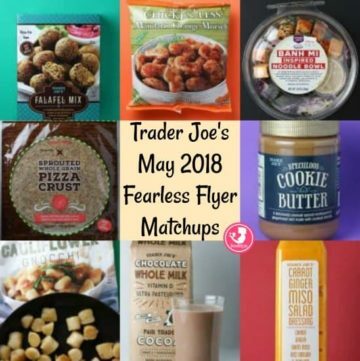 Trader Joe’s September 2017 Fearless Flyer Matchups Are Here! And now for the fourth installment of the Trader Joe’s Fearless Flyer Matchups. I’ll add more to the list here as reviews are posted. While I won’t have all of it, you can still take a look at the full flyer here. These are the items listed in the flyer that I have tried and reviewed (or have tried and it’s in a draft folder of this blog waiting to be published). Happy shopping! There are some real gems in this month, see the bottom for my top 5. 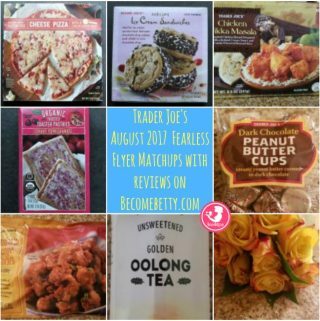 So here are my Trader Joe’s September 2017 Fearless Flyer matchups. 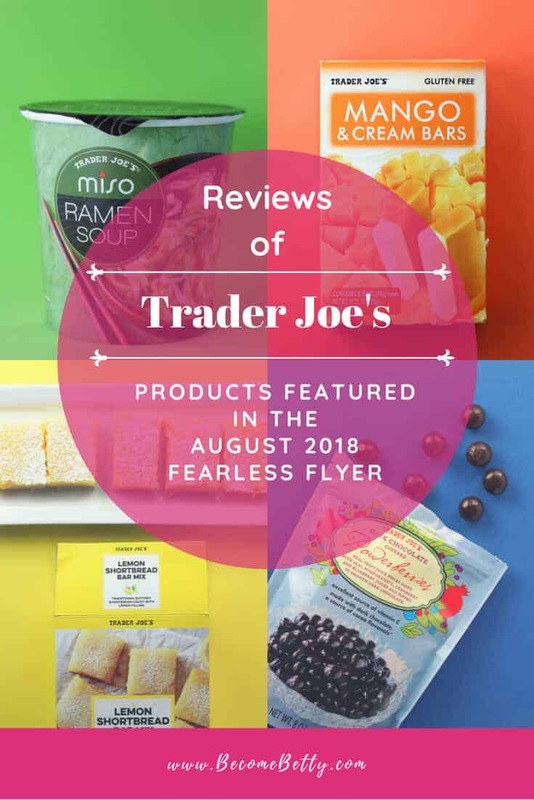 Trader Joe’s August 2017 Fearless Flyer Matchups Are Here! I’m not sure how long this Flyer is going to be posted, as I’m sure Pumpkin Season will be upon us sooner rather than later. If you have any requests or comments of things I didn’t try yet, leave me a comment. I’d love to hear from you….